Looking for a fun and interactive way to jazz up your night event? Be one of the first in Singapore to hire a professional UV Glow balloon sculptor for your night event! Be amazed as our balloon artists make you an elegant glow in the dark head-dress or bracelet within minutes! Are your UV balloon sculptures invisible in daylight? 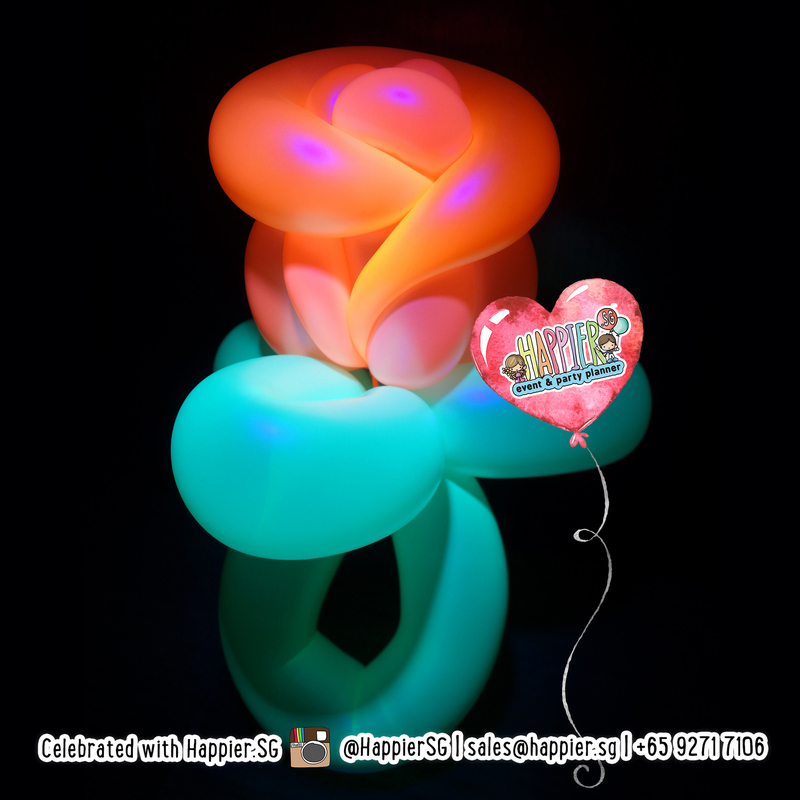 How many glow in the dark UV balloon sculptures can you twist in 1 hour? Between 10 to 20 pax per hour per artist depending on design. We aim to entertain and not just twist so you may wish to book our balloon artists for a longer durations for better engagement with your guests. How long in advance do we have to book your UV balloon sculpting service? 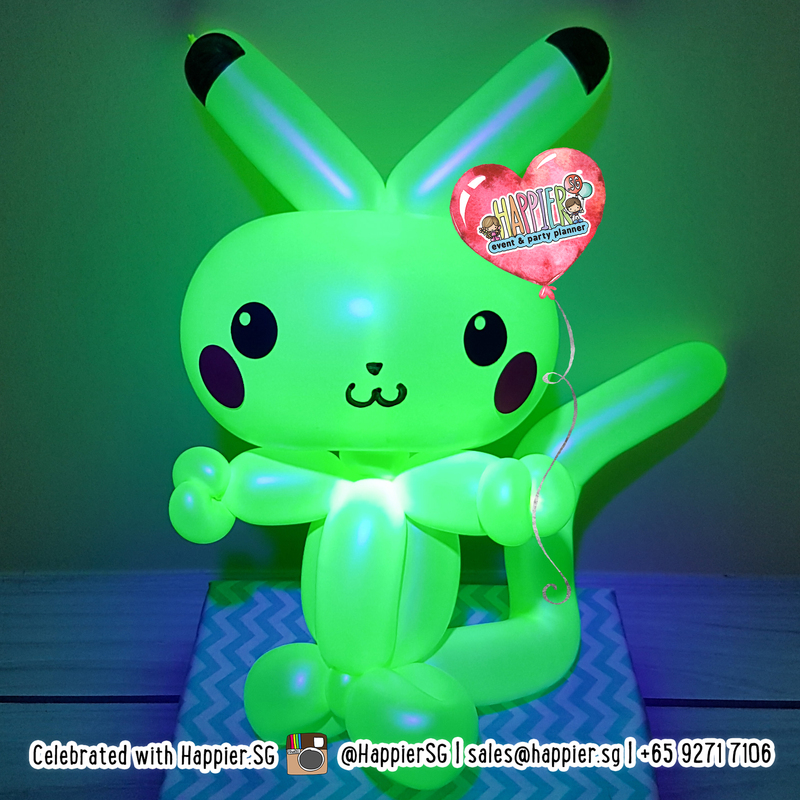 Popular UV balloon sculptors often have a pool of repeat customers to serve so it is always wise to give yourself AT LEAST 2 weeks especially if you are booking us for the first time. We confirm bookings on first come first serve basis upon full payment. What if I have yet to finalise my party but I am really keen to book your UV balloon sculpting service?